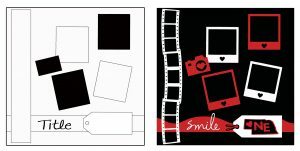 Smile Scrapbook Page with Becci - Steph's Studio Inc.
HOW: New to Scrapping or a seasoned pro? Start off with a pre-made 2 page kit suitable for up to 16 photos. We will learn the where’s and whys to beginning scrapping.